As I am sure you are already wondering, why did Days Gone get this delay yet again? As it has been stated on the PlayStation Blog… to release the game outside of the already crowded February timeframe. Not because of any major issues or "more polish" as is the usual case, but to release it outside of February. It is a solid reason when you look at it due to the plethora of other titles landing in the month and original day Days Gone was slated for. A few on the level as Days Gone, but not as anticipated and longed for. So it still seems like a weird reason to give even if it makes sense. As PlayStation fans already know, Days Gone is an open-world action game set in the high desert of the Pacific Northwest. 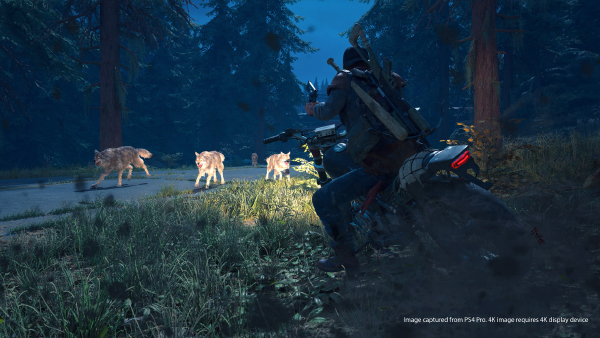 Traversing harsh landscapes on their drifter bike, players must fight for resources as they attempt to survive broken roads, unpredictable weather, attacks from other human factions, infected wildlife and roaming Freakers — a brutal, dynamic world that is dangerous both day and night. What worries me here for Days Gone is that it is a major title from a major publisher and developer. All of which is something that would help them win the race against the other titles launching alongside this one. It casts a bit more doubt on this being the real reason and, gods forbid, that the game will not live up to all of the hype we have been placing on it so far. It could also mean that Days Gone is so massive that we will need to dedicate all of our time to it to make sure we experience it all, but I am having issues seeing it here with this update. I will still keep the best thoughts for it, but now I am a bit more cautious. Are you surprised by the extra delay for Days Gone or did you see it coming given the lineup in February? Do you think that it was some other reason for the delay or just so we can make sure to have all the time we want with the game with few distractions? Do you think we will see another delay as this would be a good October title given the content or will this be the final date to look for? Let us know down in the comments and then feel free to discuss. For more updates and news on Days Gone, be sure to keep coming back here. We will keep it all coming at you no matter how good or bad it may be.